At the heart of the cultural and economic wellbeing of East Belfast since 1935, the Strand is now playing an even more important role within the community. It Is a not-for-profit registered charity and presents a diverse mix of new release and classic screenings, comedy, theatre, music and other live events that would not otherwise be staged in East Belfast. 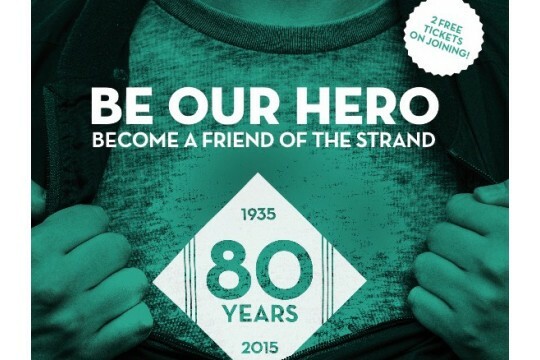 Friends of the Strand Individual Membership - suggested minimum donation £45. Joint Membership (you plus partner) - suggested minimum donation £85. As the benefits you receive will be less than 25% of your donation, you can add Gift Aid if applicable. Become a Friend of the Strand and help to ensure this cultural organisation survives and thrives for future generations. We have had a busy first three years as an arts centre, but want to do even more… including the provision of regular skills development workshops for young people in film and music production, and weekly classic screenings for older audiences. Assisting community engagement. Assisting Marketing Manager.